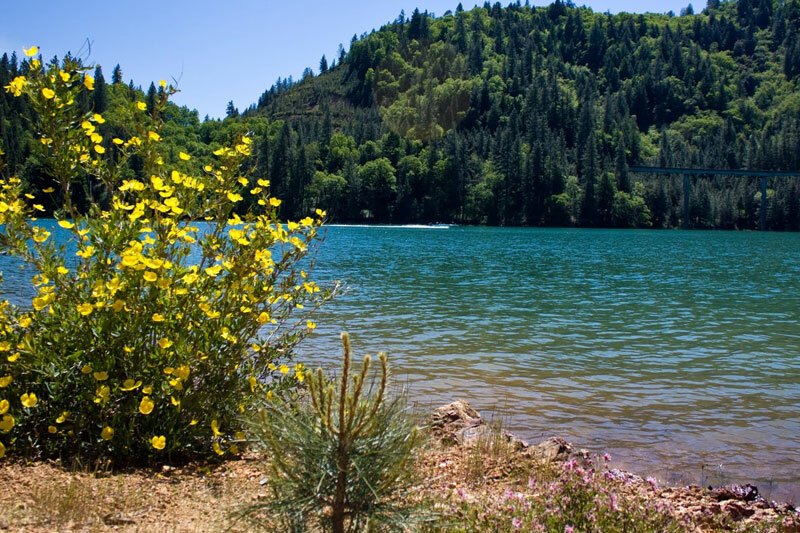 Shasta Lake is the largest man made reservoir in California, with 365 miles of shoreline. . We’re just steps away from two lakeside marinas — In Holiday Harbor, Sasta Marina Resort. You can rent a power boat, jet ski or a houseboat and enjoy cruising and exploring. There area also fishing boats and guides available for fishing expeditions on the lake or in the nearby rivers.